Holiday travel is almost here, which for most of us means cramming everything from presents to party shoes into the same tired old suitcase. Avoid baggage claim lines and make a style statement with one of these amazing, compact bags—they also make fantastic gifts for any travelers in your life that need a luggage upgrade. 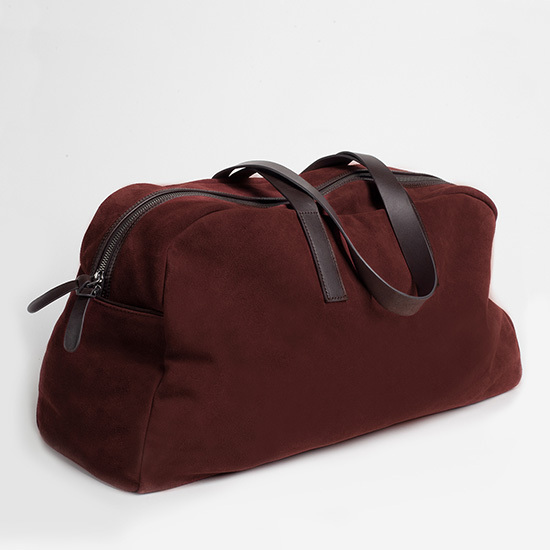 The ethically sourced clothing company recently branched out into affordable shoes and bags, like this jewel-toned suede weekender. $135; everlane.com. Clare Vivier's clutches are the bags of cool girls everywhere. 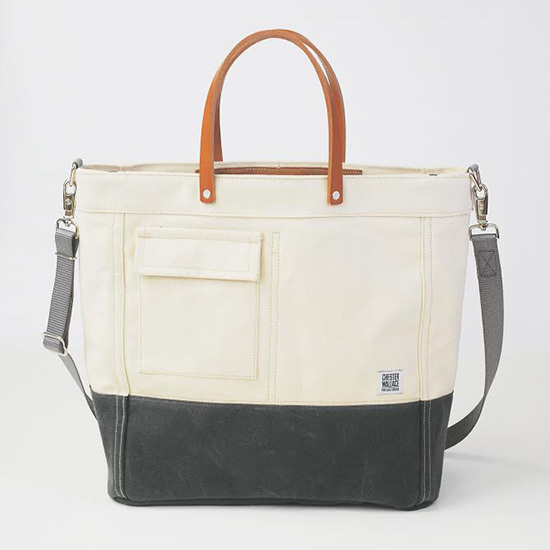 Now you can take her classic style on the road, with this roomy, minimalist tote. $540; clarev.com. 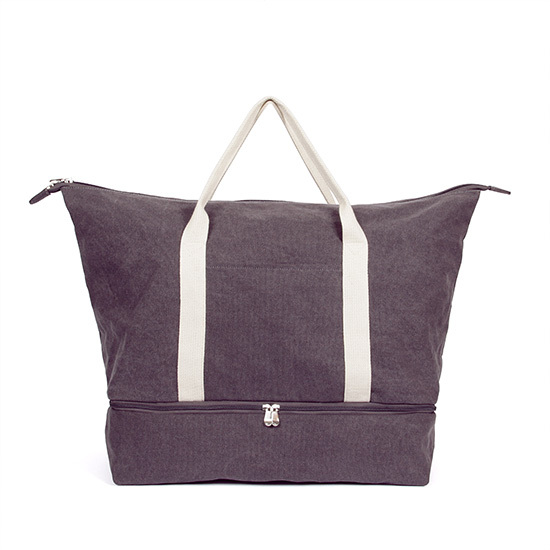 This canvas duffel is affordable, washable and durable while still looking cute. 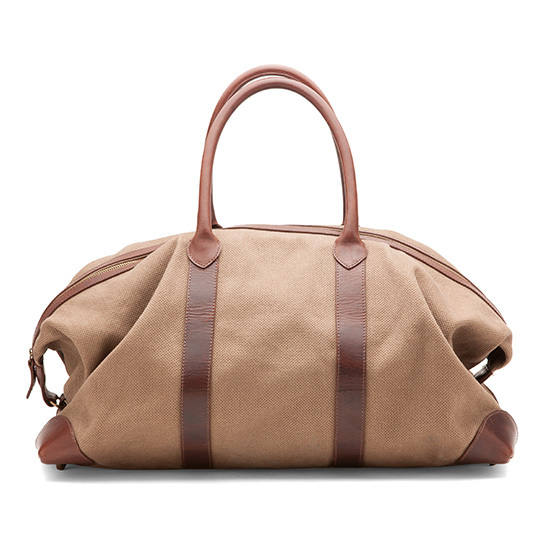 The long strap makes it easy to haul through the airport; we like the snappy stripes best. $82; baggu.com. 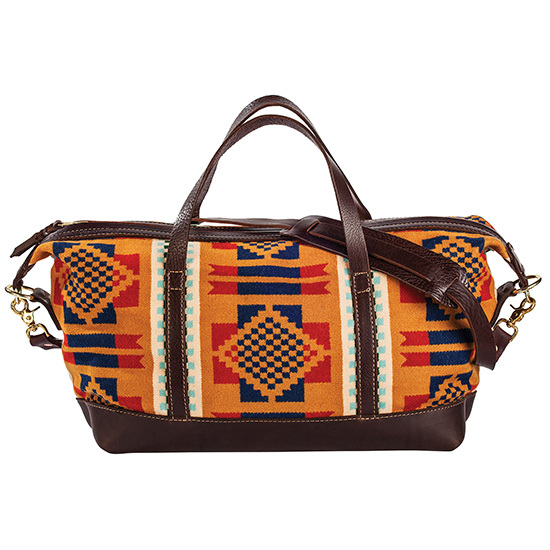 This shoulder bag from heritage company Pendelton capitalizes on the Southwestern design trend, plus it'll be extra easy to spot at baggage claim. $649; pendelton-usa.com. 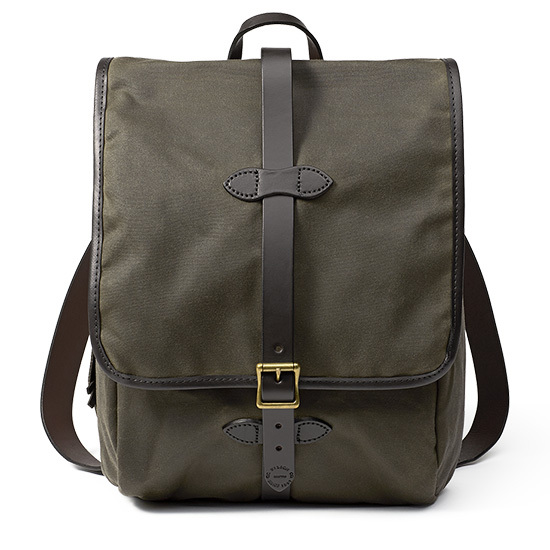 This grown-up backpack is great for short trips, and it's classy enough that you could take it to business meetings. $260; filson.com. ONA's handmade leather bags are specially designed to keep your high-end camera equipment safe—this one can fit multiple cameras and still have room leftover for whatever else you might need. $349; onabags.com. 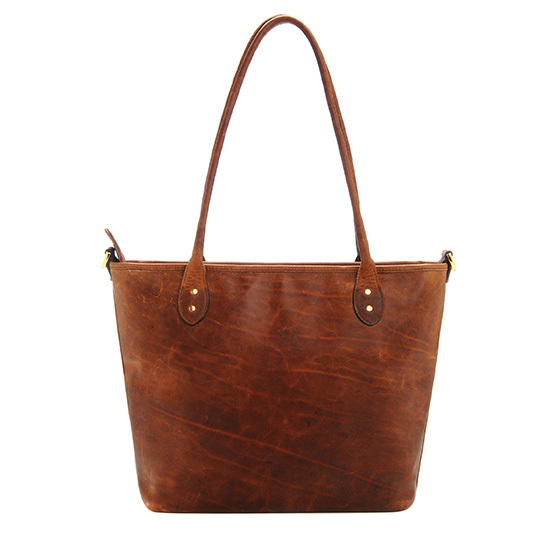 This heavy duty tote bag is trimmed with riveted leather handles that won't pull out or tear, no matter how much you manage to stuff in there. The shoulder strap makes it a viable option for carrying on longer trips. $420; chesterwallace.com. 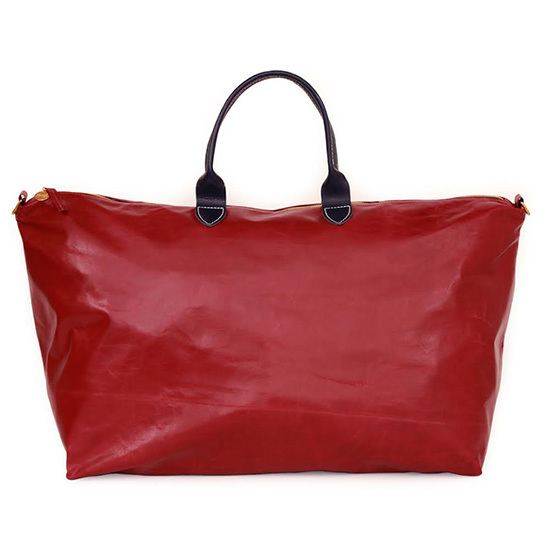 Cuyana has been making waves lately for their collections of responsibly produced basics, like this ultra-classic, super chic overnight bag that looks like an amazing vintage find (we won't tell anyone if you pretend it is). $165; cuyana.com. 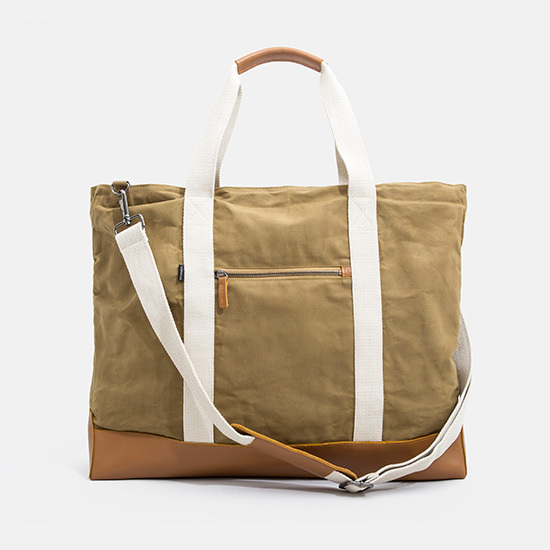 This lightweight tote can do double duty as a day bag or a weekender. The leather base gives it nice structure, keeping everything from getting jumbled up in side. $150; saturdaysnyc.com. 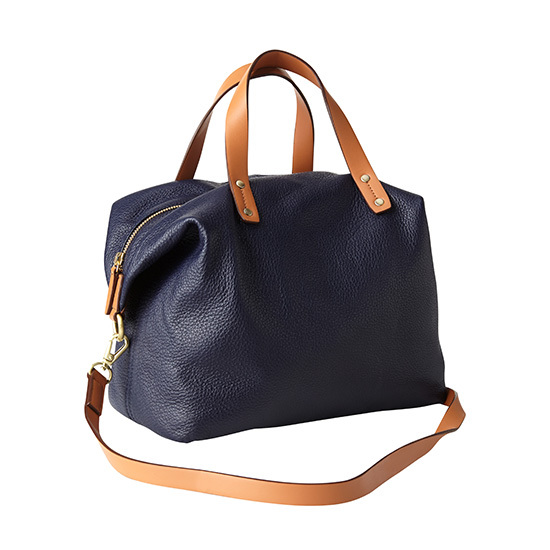 Gap's design has been especially on point lately, and this slouchy leather satchel is no exception. 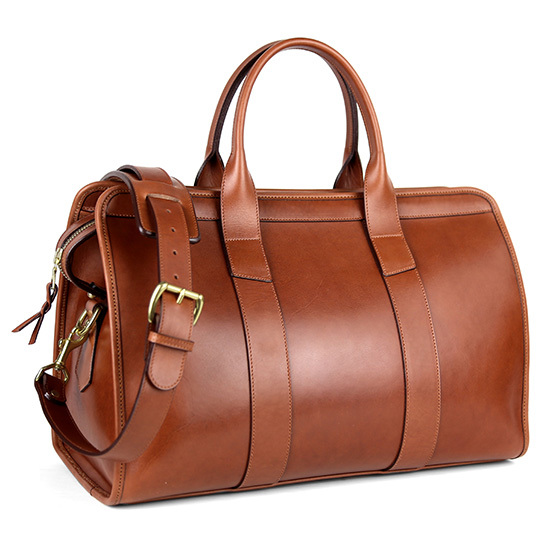 Plus, the price is a steal for a leather bag. $100; gap.com. The doctor-bag shape gives this otherwise minimalist bag an eye-catching twist. $198; kaufmann-mercantile.com. A zippered bottom compartment and unusually large size (plus a great choice of pretty, subdued colors) set this tote apart from the pack. $120; loandsons.com. 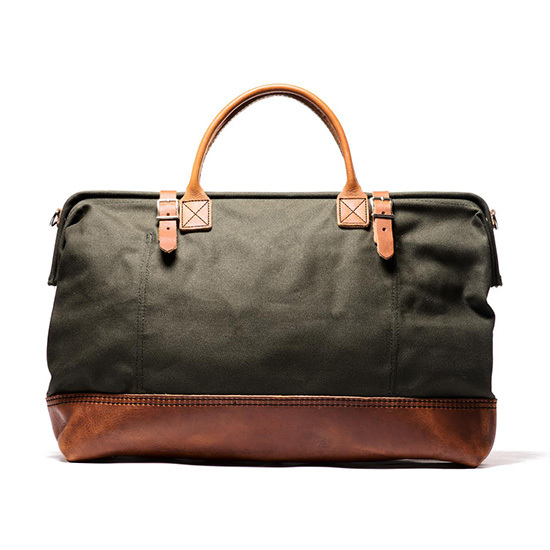 Handmade in Massachusetts by skilled artisans from the best saddle leather in the world, This bag is an absolute splurge, but it's the kind of modern heirloom that will be around long after you're gone. From $855; frankcleggleatherworks.com. 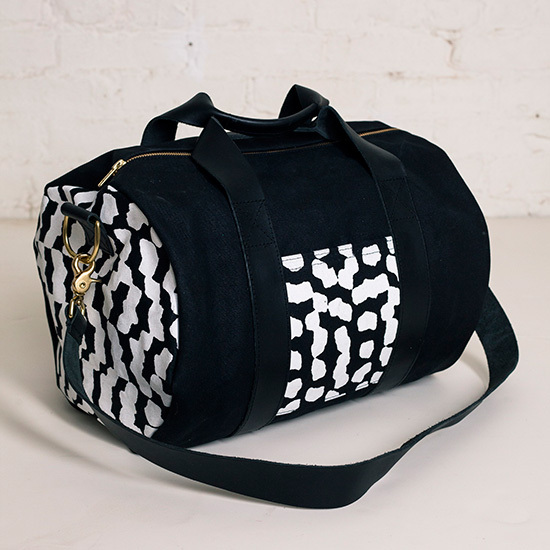 Cook & Gates hand dyes all of their fabric in Brooklyn, so the print is unique on each one of these adorable duffels. 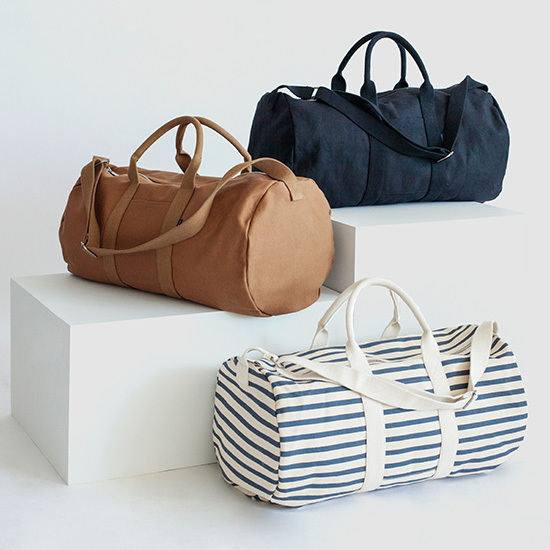 More petite than a classic duffel, it's perfect for a quick overnight, or a weekend if you're traveling light. $135; ofakind.com.